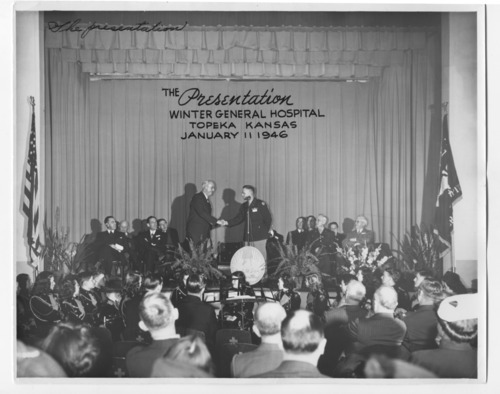 These three black and white photographs show the Winter General Army Hospital, an aerial view, and the Presentation Ceremony when it was dedicated as a Veterans Administration hospital. Dr. Karl and Dr. Will Menninger established a training program for psychiatrists here to meet the needs of the veterans after World War II was over. The first class numbered 108 physicians.